While some certifications are not worth the paper they are printed on, certifying your business as woman-owned definitely is worth doing –– especially if you plan to do business with any local, state, or federal government entity. Your business does not have to be entirely owned by women in order to qualify for certification as a woman-owned business (WOB) as long as the business is at least 51% owned by a woman(en). If the business is publicly owned, 51% of stock must be owned by women. Additionally, a woman (or women) must be actively involved in the business in a certain way (see more below about requirements for being certified as a WOB). More Opportunities: If you are planning to do business with a government agency the first and most likely place you will be found is in the Contractor Registry. Exclusive Opportunities: When you become a certified WOB you may receive discounts for memberships or even free subscriptions to services and magazines. Increased Credibility: Becoming certified is a process; you must apply and be approved for certification. Not all businesses are eligible for certifications and not all that apply are approved. Being certified makes your business stand out in a unique way. You absolutely can self-certify your business as women-owned, so long as it falls within the parameters of what a woman-owned business is. However, this self-certification can be challenged upon procurement award. If this happens, the procuring agency may request proof of the firms’ WOB status, or even require certification. If you fail to comply, you could lose the award. Your business may also be overlooked as there is considerable discretion among contracting officers in how they accept, approach, and award contracts. 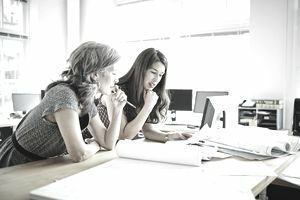 A formally certified women-owned business may, in the eyes of a contracting officer, be preferable. A business that is at least 51 percent owned by one or more women; or, in the case of any publicly owned business, at least 51 percent of the stock of which is owned by one or more women; and in which management and daily business operations must be controlled by one or more women. Additionally, the SBA further defines “small business” based on industry, number of employees, and receipts.